Looking for advice, inspiration or tutorials to up your graphic design skills? YouTube can be a great resource for learning the various aspects of design. From basic design principles to learning the ins and outs of design software to running your own design business, there are many experienced and highly skilled designers willing to share their knowledge, process and valuable design tips. Below is my list of the top five graphic designers to watch and subscribe to on YouTube. Weekly videos on design, business, career advice and entrepreneurship hosted by Chris Do and Jose Caballer. Both are highly successful and experienced designers who currently run a website called The Skool an online education platform helping creatives build and run effective businesses. A lot of really great content for both the beginner to experienced designer. Check out their video on creating a design portfolio. Some excellent insight and advice! Roberto Blake's mission has been to help, inspire, influence and motivate over 100,000 creative professionals based on a simple motto "Create Something Awesome!" With over 140,000 subscribers and counting his influence on the graphic design community has been tremendous. Roberto is one of the most active graphic designers on YouTube. He posts new content daily and has produced over 150 videos on graphic design alone. He also provides useful information on other topics such as photography, marketing and entrepreneurship. Will Paterson is a Freelance Graphic Designer based in the UK specializing in logo design, branding and hand lettering. He provides a young, personal and insightful perspective on graphic design. Will is an all-around class act. His personality, honesty and willingness to help others has made me an avid follower. Charli Maire is another awesome YouTuber based in the UK providing a unique perspective on her experience as a freelancer and t-shirt designer. New videos every Tuesday and Saturday. Charli also has some great content on DIY projects that are worthy of checking out. Stephen is a freelance designer specializing in hand lettering. His channel is primarily focused on providing speed art and tutorial videos. If you're looking to up your hand-lettering skills I highly recommend checking out his channel. Have you come across any graphic designers on YouTube that are worthy of sharing? Feel free to post your favorite recommendations in the comments below. As graphic designers we can easily become overwhelmed juggling multiple projects with tight deadlines and a ton of files to manage and organize. In order to maintain some form of sanity, it's vital to have a basic filing system in place. Approaches can vary from designer to designer and can depend on the type of design project. As a freelance graphic designer I primarily work on branding, print, and logo design for small to mid-size businesses and found the following to meet the basic needs of most projects. Feel free to copy, adapt and customize for your own use. I'd first start off by creating a ROOT-DIRECTORY folder. This will serve as your main folder where all client folders will be stored. Sometimes referred to as the "master client folder". Something like below. Pretty easy stuff. Within the ROOT-DIRECTORY folder are the individual folders for each client. I prefer using a numerical ordering system. Notice the number 001 in front of the ClientName. Designating a client number allows you to reference and organize client folders quickly and efficently. For example, I may have my top clients numbered 001-025 and other small or one-time clients labled between 050-100+. This allows my most accessed client folders to appear at the top reducing the amount of searching and scrolling. Another alternative is to list client names alphabetically A-Z. Similar to the ClientName folders, the same numerical system is used for the ProjectName folders. All projects are numbered chronologically allowing you to organize project folders in an ascending or descending order. Project numbers also serve as references when tracking hours in toggl or invoicing clients. Sub-folders are included within the main ProjectName folder and include Assets, ClientInput, Invoice, Moodboard, Obsolete and PDFs. Below is the standard filing system I use for a typical print design project, but it could vary and adapt depending on the type of designer and/or project. Assets: Basically any type of design element that is used to create your design project. This can vary from stock images, photos, logos, vector files, fonts, patterns, textures, icons, illustations, templates and more. Client Input: Documents and files you receive from the client go here. Project questionnaires, previous design samples, copy, revisions, etc. Invoice: Anything business-related. Project proposals or agreements, project expenses as well as final invoice and payment. Moodboard: Research and inspiration curated throughout the course of the project. Obsolete: Archived versions of revised project design files are stored here. PDFs: Exported PDF's. These are proofs sent to the cleint for feedback, edits and final approval. Working project files such as Adobe Photoshop (.psd), Illustrator (.ai) and InDesign (.indd) also have their own file naming structure. Each design file begins with the project number 001 followed by ClientName, ProjectName, YYYY-MM-DD (Year, Month, Day) and ending with a version number v01. With any revisions you implement, I highly recommend re-saving the existing design file to a newer version and placing the older version into the Obsolete folder. Doing this will allow easy access to the most recent file while avoiding the mistake of opening up an incorrect version. A paper trail of archived files can also come in handy when you or your client need to reference or backtrack to a particular version. When naming your files and folders be sure to use only letters, numbers and hyphens. Hypens - are consider leigtimate word separators and are more optimal for serachability. Underscores _ are considered word joiners. Avoid spaces and special characters as these don't nessicarly translate well to other platforms such as the web. Consistency is key when maintaining the organization of your design files. Find a system that works the best for you and stick to it. My first design job at a small ad agency had an array of different filing systems from previous designers. There was no consistency and it made it difficult to quickly locate and reference previous files. Save countless hours and headache by setting up a system that works for you right from the start. 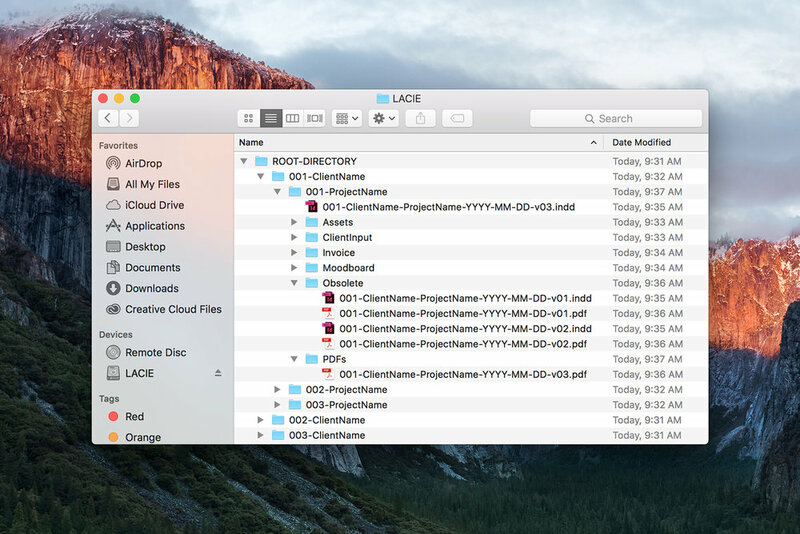 How do you organize your design files? Feel free to comment and share your methods below. The "stuff they don't teach you in design school, but should." From how to handle difficult clients, to calculating your freelance rate, to writing carefully crafted emails, Michael Janda's casual and fun writing style make this book an quick, easy and enjoyable read. This is by far my favorite design book, especially suited for those first looking to step foot in the design world. 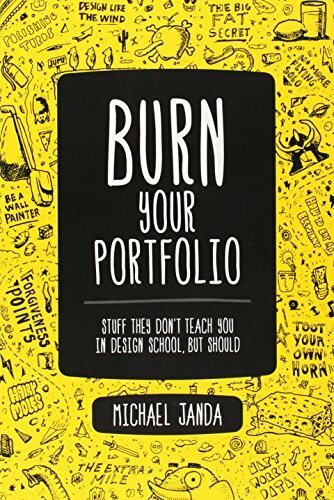 What makes this book unique is that it provides a ton of practical, real world advice and insight that designers encounter in their everyday work. This is a great introduction to typography. 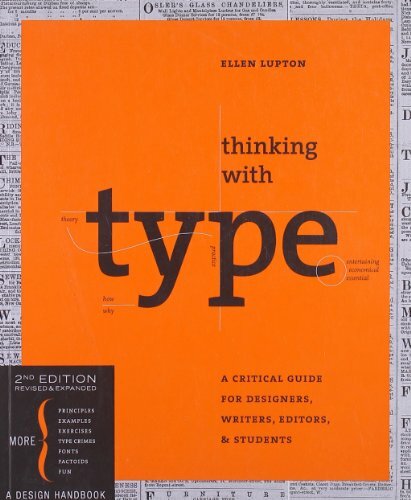 Ellen Lupton easily lays out the history of type, its anatomy, styles, techniques and etiquette as well as outlines the various rules and common "type crimes" designers may encounter. There are also some great recommendations for iconic fonts to add to your type library. Each page is filled with useful visuals and examples that make this an informative read. Also, check out Ellen Lupton's free Typography That Works course currently on Skillshare. Most designers, at one time or another, get stuck in a rut. You may question the work you're creating or the clients you're working with. If you're not doing work that is meaningful you can easily lose motivation and become burned out. 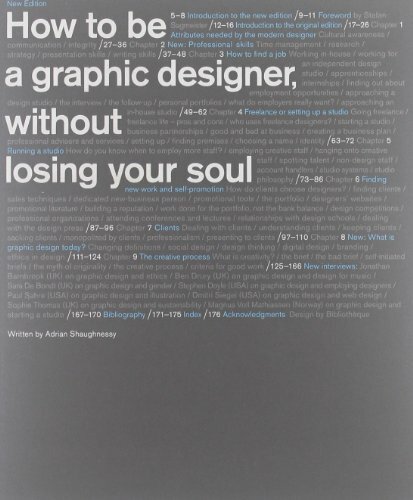 This book gives insightful advice to any designer looking to maintain a healthy and positive outlook throughout their design career. It covers topics such as design ethics, interview do's and don'ts, criteria for good design, and determining the right time to freelance or set up your own studio. Aaron Draplin is a pretty amazing dude! Just look at that front cover. This book is great for someone looking for design inspiration. 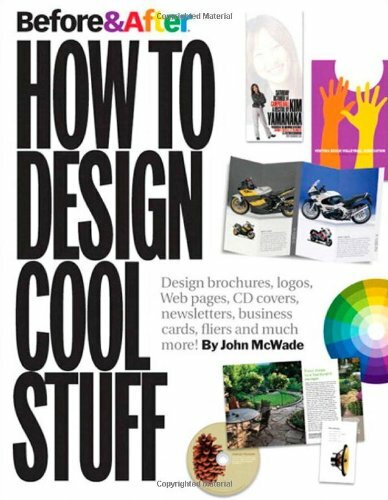 It's packed with pages and pages of sketches, magazine spreads, products, logos, posters and more. His humble beginnings, down-to-earth nature and work ethic make me a fan! 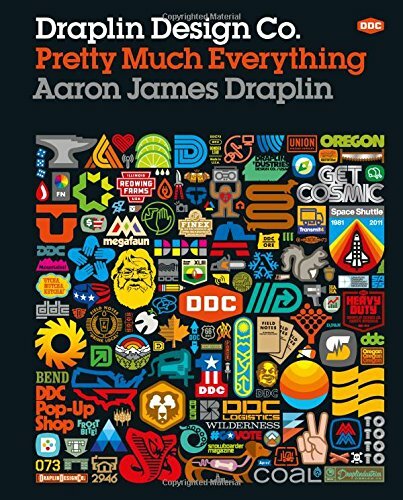 For more on Arron Draplin check out his courses on Skillshare. Before & After originally started out as a design magazine created by John McWade back in the 1980's during the rise of desktop publishing. Its sole purpose was to teach graphic design. Real-life projects are used as examples to explain the decision-making process of good design. John McWade brings clarity and understanding to the question of why certain designs work better than others. His design techniques are especially helpful for those interested in print and page layout design. More can been found on their website Before & After. If you're a graphic designer you know that having an online portfolio is essential to your design career. Whether you are seeking employment or attracting new clients, people will almost always request to see examples of your work. Its unavoidable! An online portfolio quickly demonstrates your credibility as a designer. When I ventured out in search of my first design job I made sure to invest time in creating a clean professional online website. This allowed me to direct potential employers and clients to my work and ultimately land numerous job interviews and freelance gigs. This week I want to share my personal experience and process for creating my online portfolio. Let's jump right in! Like any design project, my journey began with research. Some great websites that I turn to for design inspiration are Behance and Dribbble. By looking at portfolios of other designers I was able to quickly create a list of my top favorite website layouts. Next, I needed a website platform that would allow me to build my portfolio quickly and easily without the worry of HTML code. My top choices: Adobe Portfolio, Cargo Collective, Squarespace, WordPress, Wix. Squacespace has an impressive selection of portfolio templates. I like their simple, clean, minimal design options and began working with a template called Avenue. When selecting a design template, it's important to keep things clean and simple. You want your work to take center stage – I'd suggest avoiding templates that are over-complicated or too busy. A responsive design is a must have. Your portfolio should work on various screen sizes including desktops, tablets and mobile devices. Not only will your website get a boost in search rankings but your visitors will enjoy a better user experience. When selecting items for your portfolio, quality trumps quantity. I'd recommend no more than 8-12 of your best projects. Unless you specialize in a specific area of design, the more diverse your projects the better you will be able to showcase your capabilities and range of skills. With short attentions spans, people take only a few quick seconds to glance over your work. If you're not making an impression, your visitors will be in and out quicker than you can say lickety-split. Do not upload flat representations of your work. Provide context through the use of mock-ups. Mock-ups can easily add professionalism, sophistication and dimension to your work. Click on the link to my previous blog post on the Best Mock-Up Websites For Graphic Designers for some excellent mock-up resources. I also provide a short 2-3 sentence description of each project with my portfolio. Explaining your thought process, concepts, struggles and solutions can help generate a greater appreciation and understanding of your work. Don't be shy! Placing a photo and a brief description about yourself will give the impression that you're a real human. Keep things brief, and maybe share a little about your journey as a designer and your future aspirations. If you have a dog or like to take long walks on the beach. Great! Do whatever it takes to make yourself relatable. How can you be contacted? Include some form of further communication, a phone number or e-mail will work. I setup a simple form for visitors to fill out which directs all messages to my e-mail and helps to prevent annoying spam. Congrats! Your portfolio is finished. Think again…an online portfolio is useless if no one is looking. Share your website with the online design community and seek feedback from other members. Promote your website on social media and get the word out to family and friends. You never know…you may end up with a call for an job interview or gain a new client. A portfolio is never really finished. Make sure you continue to update your portfolio with new and better work. If you haven't created anything portfolio-worthy in the past six months you need to refocus your efforts and get back on track to creating awesome! What are some of your experiences, successes or struggles with creating your online graphic design portfolio? Maybe you're looking for feedback? Feel free to post your comments and portfolio link below. I am entering the blog-o-sphere! When thinking about my first blog post, I wanted to talk about something that is beneficial to the typical designer. Mock-ups! They're an excellent resource for graphic designers, especially when putting together an online portfolio or presenting a concept to a client. You can easily add sophistication, dimension and context to your work through the use of a mock-up. Instead of sending over a flat digital image, take your final artwork and quickly mock it up to give your client a better idea of what their project will look like in the physical world. They'll appreciate the fact that you went out of your way to present their project realistically and it adds a professional spin to your overall work. Below is a list of the top five websites that I turn to when searching for high quality mock-ups. Although many of these websites require a small monthly subscription fee to access their entire mock-up collection, there are always top-notch freebies up for grabs. Enjoy! This website has one of the largest selection of design mock-ups online. From apparel, brand identity, brochures, flyers and mobile devices to packaging, there is usually a handful of mock-ups to select from for any given project. I recently subscribed to their premium membership, a $10 monthly fee which allows for unlimited downloads to all their resources. I ended up selecting the Bi-Fold Mock-Up Template Vol. 01 for a local banking brochure and got some great results for my online portfolio. You can view the full project by clicking my portfolio link: Dedham Savings Brochures. Similar to Pixeden, Qeaql offers their entire selection of mock-up resources to premium members for $19/month. However, I'd suggest browsing their Freebies section which has over 160 and counting of quality mock-ups. The free Flyer and Business Card mock-ups are pretty snazzy! If you're looking for some great brand identity and stationary mock-ups, this website is my go-to. I'd suggest checking out their Bundles sections for the most bang for your buck. Their Infinity Mock-Up Bundle provides 70 unique mock-ups for under $40. If you're on a tight budget, they've got you covered. Their Free Mock-Up section has some great variety, such as this Stationary Mock-Up or this Flyer Mock-Up. 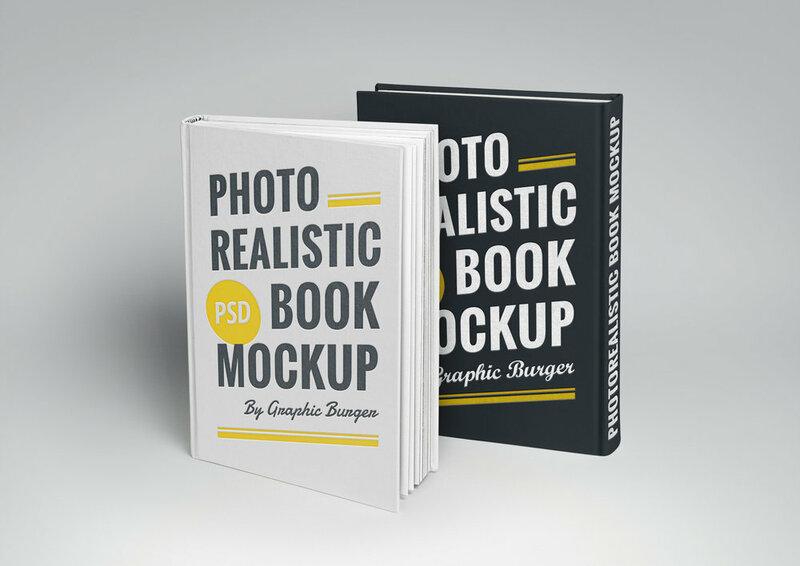 The great thing about GraphicBurger is that their entire Mock-Up collection is free. New mock-ups are updated monthly. With a good variety you'll be sure to find a mock-up that meets a specific project. Their Window Signage Mock-Up and Book Cover Mock-Up are popular favorites. This is a relatively new site that is still establishing itself in the digital mock-up world. Their collection is slim compared to the other websites listed above, but don't let that fool you! What it lacks in quantity it makes up for in quality. There are some real stellar and unique mock-ups that can be found here. Their Free Files section includes a cool Restaurant Stationary Mock-Up and a slick Tri-Fold Brochure Mock-Up. Am I'm I missing anything? Let me know which websites you use to find high quality mock-ups. Feel free to drop a comment below listing your favorites and I'd be happy to add it to the ever growing list of The Best Mock-Up Websites For Graphic Designers. If you found this helpful please give it a like, share or comment! Subscribe or follow me on Twitter at @retielnairb.